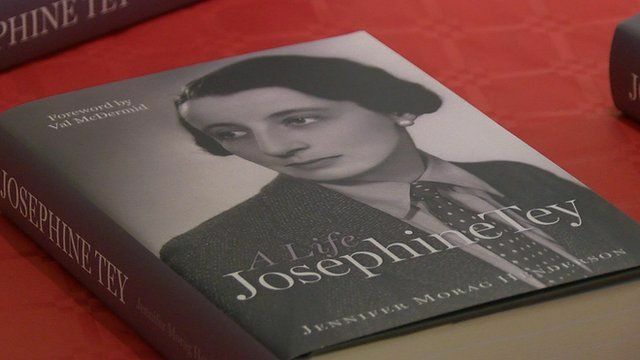 Cò dha-rìribh a bh' ann an Josephine Tey? Tha i ainmeil airson nobhailean eucorra air nòs Agatha Christe agus Dorothy L. Sayers. Ach chan eil e cho aithniche gur e tè de mhuinntir na Gàidhealtachd a bh' ann an Josephine Tey. Chaidh a' chiad leabhar air eachdraidh a beatha fhoillseachadh gu h-oifigeil Diciadain. Agus dh'fhosgail taisbeanadh sònraichte oirre ann an Inbhir Nis - am baile às an robh i.